Arcanacon – A fun and inclusive tabletop roleplaying convention held in Melbourne over the Australia Day weekend on Sat 26th & Sun 27th of January. Arcanacon 2019 was a fantastic success with great feedback and ticket sold out! Checkout Arcanacon Facebook Page for pictures and comments. Stay up to date by signing up to our newsletter at bottom of page. View our full list of games here. Merric Blackman is providing a bunch of Adventurer League Games for beginners to D&D and veterans alike. Bring your own Adventurer League character or take one of Merric’s prepared characters. Pre-register your choice of games at his WarHorn Site when available! Three intriguing and terrifying new scenarios for you to play. Two scenarios are sourced from Mark Morrison’s award winning “Reign of Terror”. 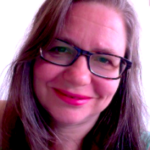 The third scenario has been written by Penny Love and is set in the tropical paradise of Samoa. That sounds nice. Create a Jane Austen novel with your friends! 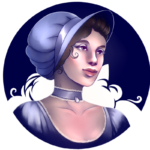 Good Society is a collaborative tabletop roleplaying game that captures the heart, and the countenance, of Jane Austen’s work. A new game from the Storybrewers team, Hayley and Vee. The Good Society LARP happens Saturday 5PM! This is your chance to dress up. Click on session title for more details! Lanyard pickup and game registration. First come first served for game registration. All feature games available. Indie games as scheduled by organiser. Vendors and general displays open. Lanyard pickup and game registration. This final session is unscheduled. Games will be run depending on GM availability. Board games will be available.